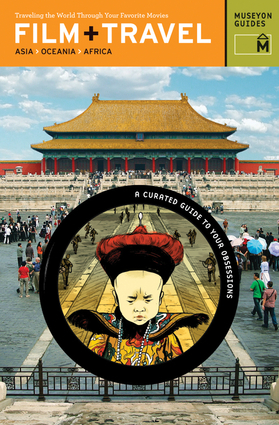 Featuring color photographs of movie locations, sites, and landmarks, this guide for film buffs and travel lovers provides information about notable scenes from 139 movies shot throughout Asia, Oceania, and Africa. Drive into the parking garage at the University of Melbourne and follow in the footsteps of Mel Gibson in Mad Max. Go to the 83rd floor of the International Finance Centre in Hong Kong and see where Angelina Jolie jumped in Lara Croft: Tomb Raider. Whisper your deepest desires into the walls of Ta Prom Temple in Cambodia and re-create In the Mood for Love. Warm up your vocal chords at Karaoke-kan in Tokyo and pay homage to Lost in Translation. Discover which tiny Tasmanian town of 300 residents inspires Hayao Miyazaki, the anime mastermind behind Spirited Away and Kiki's Delivery Service. Find out when the scenery of Vietnam is in Cambodia and when it's in Puerto Rico and much, much more.